Did you notice the strange men dressed in Robes at Stamford Bridge recently? Well footballing legend, Franz Beckenbauer, has revealled all. Find out more here. Chelsea have confirmed on Chelseafc.com that their vital clash with Tottenham at Stamford Bridge has been re-scheduled for Wednesday May 8th, kick-off 7.45pm. Chelsea welcome Sunderland with new boss Paolo Di Canio to Stamford Bridge on Sunday afternoon. Here's a preview with team news and line-ups for the big game. 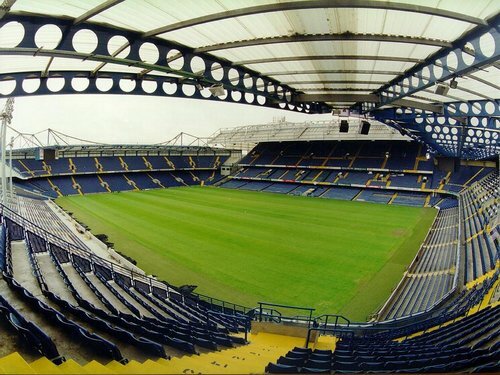 Chelsea welcome Manchester United to Stamford Bridge for their Capital One Cup clash. Here's a preview with team news, likely line-ups and predicted score.